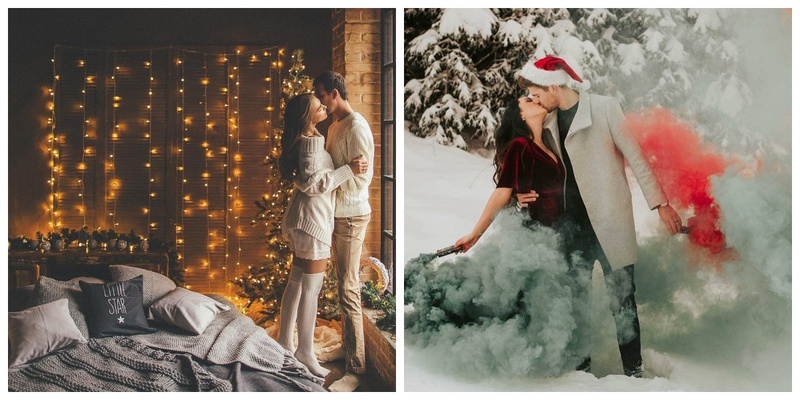 These Christmas Themed Pre-Wedding Shoots are what Christmas Dreams are made of! Are you someone who starts watching the Hallmark christmas movies with the start of December? Does the term ‘Christmas’ make you feel all warm and fuzzy inside? Do you too binge watch the Friends thanksgiving episodes or the Home Alone movies with a side order of hot chocolate milk and marshmallows (or wine) ? Well if you are this person, I am sure you would have dreamt of your pre-wedding or save-the-date shoots to be christmas themed. And while it does not snow outside our windows, I am sure you can find a photographer who can give your christmas themed couple photo shoots the much-needed edge. So, which one of these made you feel whole warm and fuzzy inside?